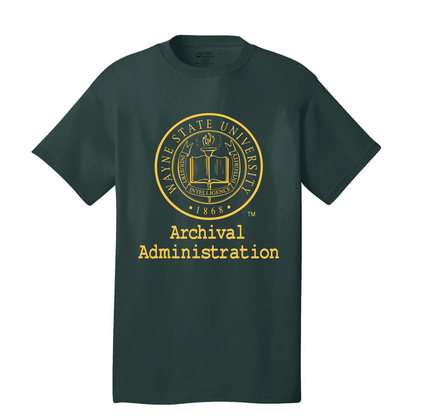 Are you a current Wayne State Archives student or alumni? 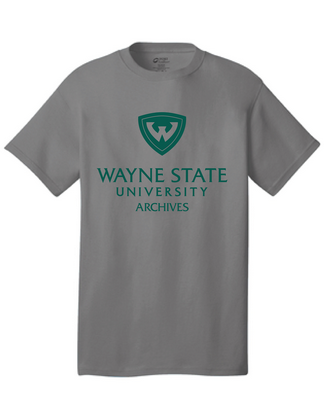 Looking for a specialized tee shirt to show off your Wayne State pride? We are thrilled to announce our fundraising campaign. We will be selling the two tee shirts below in order to raise money for Wayne State student SAA conference presenters both this summer and in the future. The green tee shirt is $25 and the grey shirt is $20. If you have any questions, contact the SAA student chapter email address, saa.wayne@gmail.com.